The following is the inscription upon the cornerstone of the original Unity headquarters at 9th and Tracy. There was no date on the cornerstone because the teaching of Unity is eternal, without beginning and without end. In this series Eleanor invites you to participate in a conversation about the Unity of the Future. 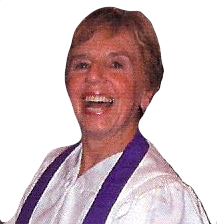 Eleanor's vision of a new foundation for Unity rests on silent meditation as a means of obtaining sacred experience and metaphysical study of the Bible as a way to validate those sacred experiences. In this class, she invites you and all those who are interested in Unity's future to help shape a vision for Unity's future. We expect to have a lively, engaging conversation, similar to what we see on C-SPAN. A call-in number is provided and you will have the opportunity to fully engage with Eleanor and others in the live audience. This series begins on Thursday Dec. 4 and continues on Dec. 11th and 18th. Broadcast time is 7:00-8:30 Central Time (Chicago time). Please email reveleanor@gmail.com or phone 1-816-301-6304 for directions to the class.